Children start to explore the world around them as soon as they are born. At ORGANIC KIDS, the pre nursery curriculum inspired by (HBCS and TIFR) enables children to continue their exploration. The objective of the program is to train parents to help them cultivate their child’s development by learning and practising child development through a scientific loom. This program will foster social, aesthetic and motor skills in young children. 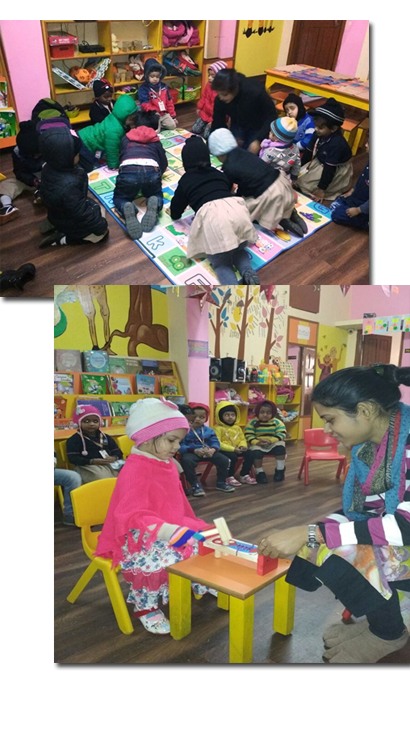 This program helps infants and toddlers develop their latent language and maths skills through the Kits developed by JODO GYAN and the approach developed by LORIS MALAGUZZI.